Search Engine Optimization is a set of best practices that website owners and designers follow to help them achieve a better ranking in search engine results. Where a website ranks in a search is essential for driving more traffic toward the website. Onsite SEO includes the website optimization STEPS you can take on your website that will affect your search engine rankings. Design web pages that are small in file size. Create web pages that are mobile friendly. Add unique images with ALT tags. See the details of these 8 online SEO steps. Offsite search engine optimization (SEO) is a method of increasing traffic to your site from other websites through backlinks. Backlinks that come from websites with high authority help your website build authority. If you work hard to produce quality content and market it effectively, you can expect other websites to link to yours automatically. This is the most natural form of offsite SEO. Social links to your website are also quickly gaining importance as a signal of good quality content. Links from social websites will help attract more visitors and give your site higher social authority. Google is now paying attention to a website's social authority. Now is the time to start actively engaging in social networks such as Facebook, Twitter or Google Plus. It has become an additional form of off-site SEO. If you are unfamiliar with these SEO strategies, we can help. 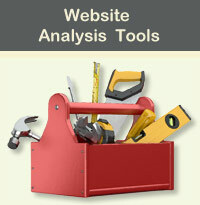 Crimson Designs includes onsite SEO services in our website designs. We will also help you become familiar with social sites such as Twitter, Facebook and Pinterest. See SEO Services for Small Businesses & Entrepreneurs. If your website is associated with poorly reputed sites, their bad reputation can reflect on you. Too many irrelevant links can be seen as spam. It is not worth the risk of being banned in the search engines. Instead, build a site that will attract natural incoming links.